Writing a great character arc is a challenge. Great characters and their arcs are what drive a plot, make a story relatable, and memorable. In this post, we’re going to teach you how to write a great character arc using a tool we created called the Story Speedometer. It’s the fastest way to make sure you’re character arc is dynamic and compelling. We’ll also discuss some excellent character arc examples along the way. Let’s floor it! Why are character arcs so important? Stories are about change, in large part because they are about the human experience which is fought with constant changed. Our oldest stories were tied to events like the change of seasons. The change in life patterns. Birth, marriage, death... etc. So the character arc is about manifesting an important change in a character. Most every story needs this. A character arc is the quest, and subsequent personal change, of a character as they progress through the story. The character in question will grow from one type of individual into a very different one as a reaction to the obstacles presented in the narrative. This is a good question to take a look at before we dive into how to write character arcs. You might think a character arc is a tool exclusive to those character study type films, ones that feel drama heavy and lighter on action. But thats not the case at all. A character arc drives EVERY type of story. One of my all time favorites is Indiana Jones. Jones is a character who starts out each story with one set of goals but through the course of his adventure, he is forced to grow. In Raiders of the Lost Ark (ha, no pun intended!) we see him accept that there are bigger things in this world than getting the lost treasure of the ark itself. That's a pretty standard character arc. But the emotions in the film set it apart from the boring standard. Just take the last scene. The ark is gone, And Indy laments "They don't know what they've got there" but Marion Raven-wood counters "Well I know what I've got here." Jones might have lost the Ark, but he got the girl. 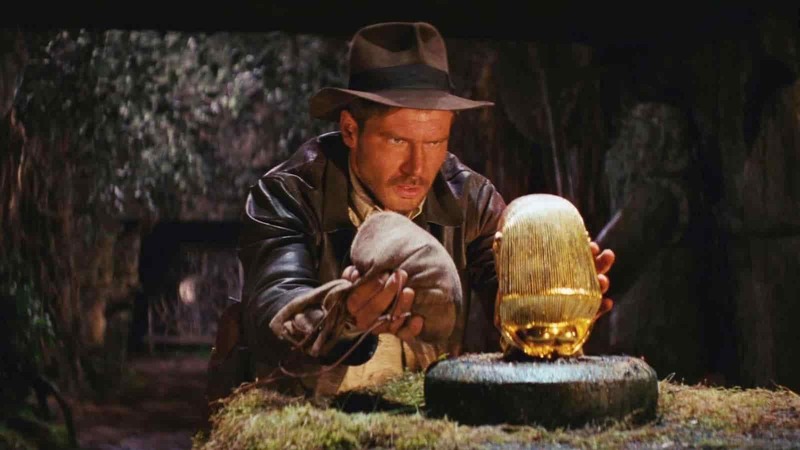 Raiders of the Lost Ark has an excellent character arc at it's core. In Temple of Doom, Indiana Jones steals back the powerful sankara stones from an evil priest Mola Ram. Instead of keeping them for "fortune and glory", as he espouses to young short round early in the classic, he gives them back to the impoverished villagers. In The Last Crusade, Indy's character arc is that he reconciles with his estranged father. In the film's his final moments he lets go of his desire to grab the grail itself, in favor of escaping with his father. 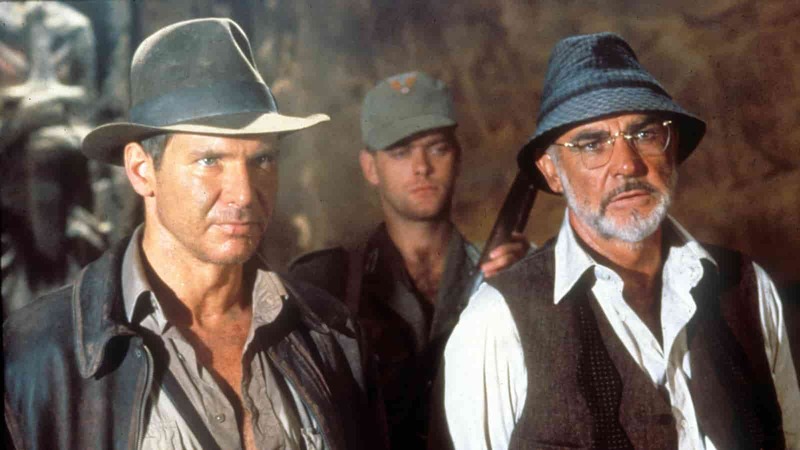 The bottom line here is that Indiana Jones has an arc in each movie. It may be a similar one, but it's not those awesome set pieces that keep people glued to the screen... well it partly is... but it's that Indiana Jones is changing through his character arc. Okay we are all on the same page. Character arcs make stories great. How do we make great character arcs? So what is this story speedometer we've been talking about? It's a really simple character arc creation tool. The idea is that you state who your character is at the start of the story, and then you plot their away along a series of events to change into who they are at the end. This tool will FORCE you to write a believable and compelling character arc. And in the process you'll end up with a story that works. 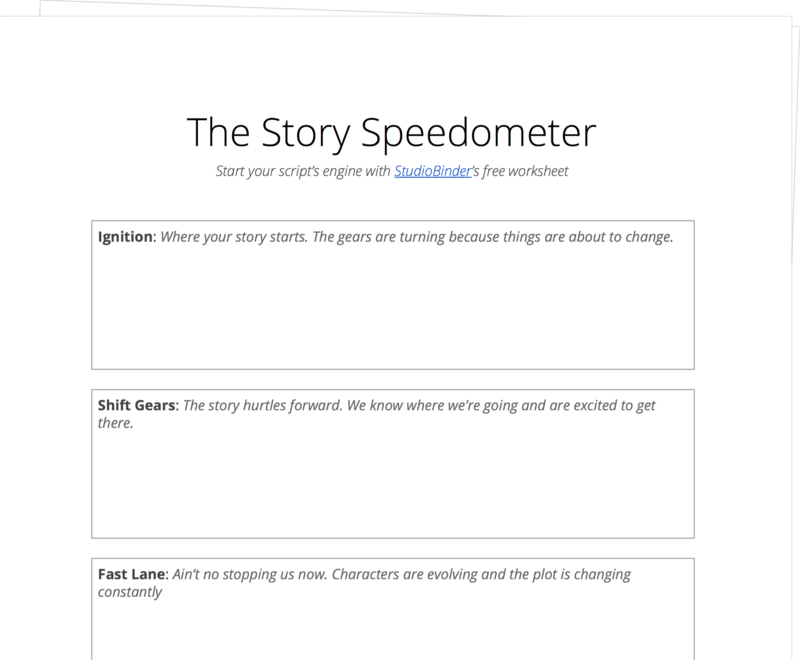 Download your FREE ​story speedometer worksheet to start your story right. There are seven points along the Story Speedometer that help you build your character arc, and we named them with race car driving terms, because... well it's a speedometer! We're going take one of the great character arcs of all time; that of Michael Corleone, to illustrate each step and how to use it. 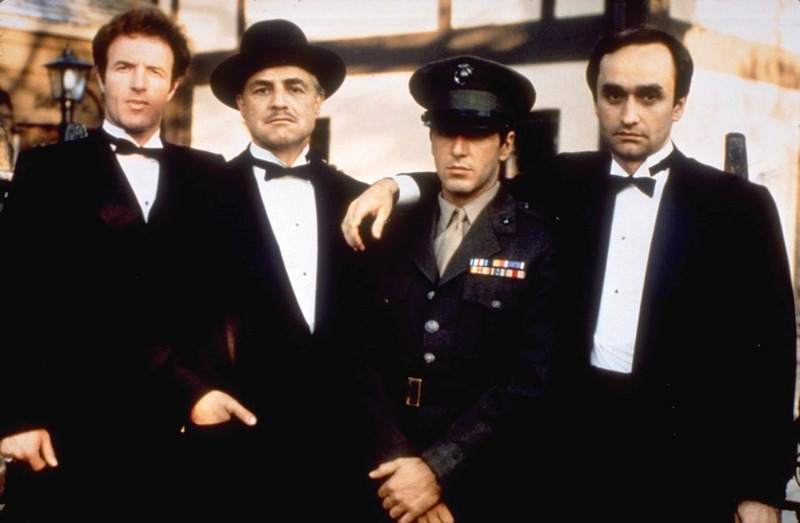 When we meet him, Michael Corleone served in World War II and is a decorated hero. He’s dating the very un-Italian, All-American, Kay. And Michael keeps his family and (family) as separate from his own life as possible. His father, Don Vito Corleone, prefers it that way. Michael is unsoiled by the dark deeds of the Corleone clan and the dream of a child with a legit future living the proper American dream seems within reach. But it's time for his character arc. And all good things have to come to an end. We're going to have to cause a lot of problems for him now. This is Michael Corleone at the beginning of the story, or as we like to say in Story Speedometer terms at IGNITION. Michael Corleone. An incredible character arc. As we get into the story your character arcs begin to shift gears. We know who they are when we met them, but now we’re getting to see a different side. Can Michael "shift gears" to save his father? The fast lane is where the rubber meets the road. Now you're character is in a new lane, and they're starting to speed up. Michael visits Vito in the hospital, and stops another assassination attempt there. A crooked cop breaks his jaw. It's getting personal. Michael wants to help Sonny, and agrees to murder the cop and a rival mafioso. Michael is now a part of the family. This happens around the midpoint of your story. You're character is about 50/50 now. The old life and identity from ignition is still there, but so is this new life in equal part. The pit stop is where your character reassess who they are in this world. 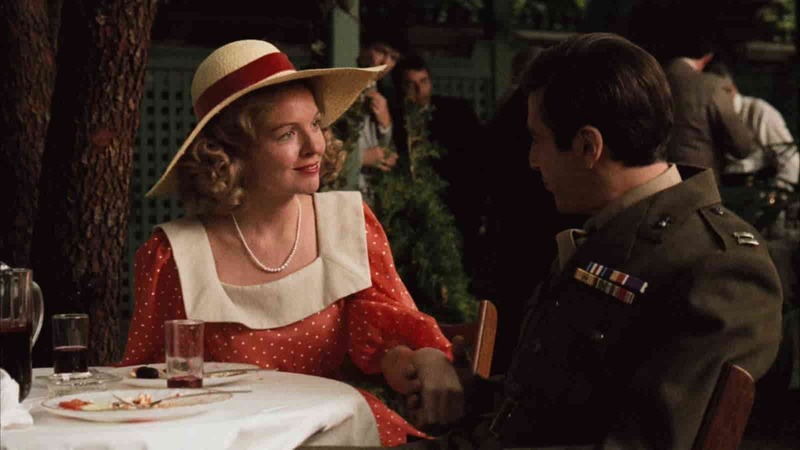 Michael Corleone goes into hiding in Italy. He falls in love there- he tries to find a life in hiding far away from the misery and bloodshed of home. But that new 50% of him... the mafioso... it's not going anywhere. The dark side has him now. His wife is murdered brutally, because the violence will follow him anywhere. Pedal to the metal time, folks. The pit stop got us a new set of tires and it's time to burn. The character has recognized who they are becoming and who they must become. There is no looking back. Well we have one of cinema's all time greatest montages. While Fredo is in line to take over, Michael sees the opening and "floors it." His family needs him. His life of crime is not only fully embraced, but he takes it to new calculated levels of brutality and violence. All while becoming... a godfather. This is a step you'll find in all story crafting tools, to Blake Snyder and his famed Save the Cat Beat Sheet it's the dark knight of the soul. To Joseph Campbell and his philosophy of the monomyth in the heroes journey it's the atonement with the father. For the Story Speedometer, it's crash and burn. What is the crash and burn for Michael? Its Kay. From the pile of wreckage of your characters crash and burn limps a pheonix risen from the ashes. This new character barely resembles the one we met at ignition. They are now almost entirely changed. A good story and a good character arc does this without hesitation. 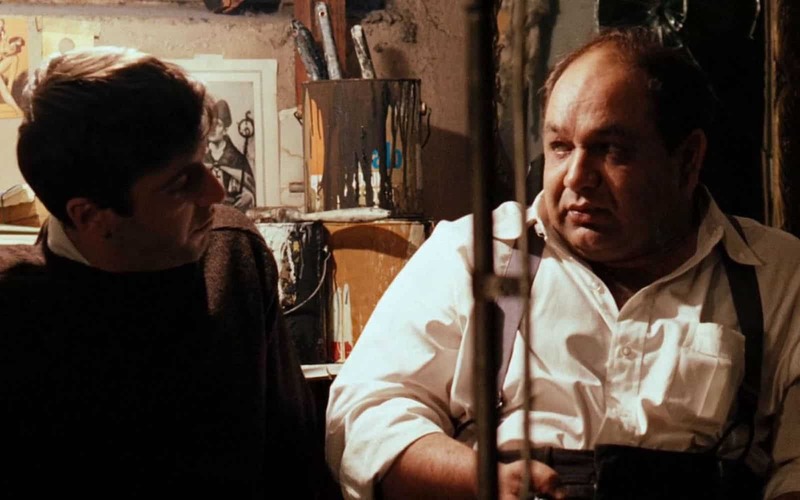 Michael Corleone has his brother-in-law murdered. At ignition Michael, clean cut in his decorated war uniform, was attending the wedding of his sister to this very man. The man who betrayed Sonny to rivals, the man who made Michael his son's godfather. Michael kills him, but lies to Kay about it. And the films closing image is Michael, closing the door on Kay, ensconced in the darkness of his fathers office, and profession. Now that, boys and girls, that is a character arc. "That's my family, Kay... not me." You've seen the story speedometer in action, and you're ready to use it to create your own killer character arc. So get right to it! Once you've got your character down you've also got the makings of your plot. But nothing helps a plot tighten up like the art of dramatic writing and dramatic tension. This one two punch will turn your ideas into page turners. So what are you waiting for! Get writing! 2.20.19 Please recommend screenwriting software for animation scripts. Thank you. Am using Final Draft: do not like it; want HIghlander but only Apple version exists no MS Windows version. Love HIghlander’s look and simplicity.